Cupcakes, the small, tasty snack cake originally served at children’s birthday parties continue to be popular today especially amongst younger Canadian adults. In fact, according to latest information from Mintel, cupcakes were ranked as one of the top three favourite sweet baked goods most likely to be eaten by Canadian consumers aged 18-44 years.1 With its ability to evoke a sense of childhood nostalgia, cupcakes are still the affordable, indulgent, pick-me-up item consumers are willing to splurge on especially during economic challenging times. Will This Trend Continue Into The Future with Millennials? There are strong indicators that the cupcake trend will continue for some time into the future as many Canadian consumers; in particular, Millennials demonstrated a positive attitude towards not only cupcakes but baking in general. For example, unlike the lost art of “traditional cooking skills” that have been extensively written about over the past decade, many consumers aged 18-24 (over 50%), including males (43%) indicated that they enjoyed baking from scratch.1 “Despite the popularity of baking as an activity, convenience is still an important aspect of bakery as nearly two thirds of Canadians indicated they are most likely to get their baked goods from in-store bakery and store shelves”. 1 This is good news for suppliers of sweet bakery mixes targeted to either manufacturers of finished bakery items or consumers. Although, the composition of cupcakes is somewhat similar to traditional high-ratio layer cakes, cupcakes have a higher batter viscosity.2 Batter viscosity, which refers to the flow of liquid, is important in cupcake production as it will directly affect baking performance and final product appearance. Too much fluid batter will cause the product to have a flat top. 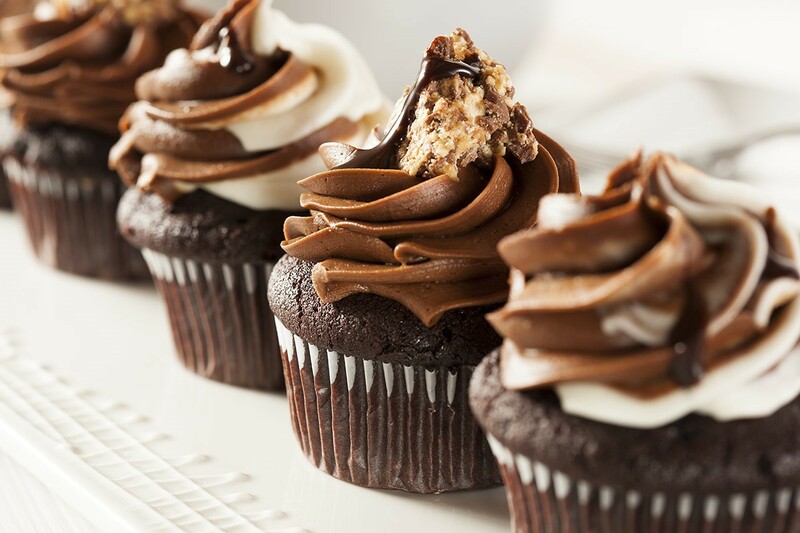 A batter that is too thick will not only create peaks and under-baked sections in the cupcake but could create a variety of equipment challenges during manufacturing runs. A viscous batter will provide balance or what is known as the “sweet spot” resulting in the more traditional, rounder cupcake top. Compared to regular size layer cakes, cupcakes, with their smaller size, require shorter bake time and lower temperature.2 Higher temperatures may cause the outside to set too quickly leaving the inside under baked or may result in surface cracks forming. Lower temperatures may result in flat top cakes. It is important to balance baking time versus temperature to ensure the creation of domed top characteristic traditionally associated with cupcakes. Profi Bake and Butter Buds are two ingredient solutions that can help manufacturers create the healthier cupcake solutions consumers today are demanding. Profi Bake, the award-winning complete, high-protein plant-based composite (HPPC) that has been especially designed to manage water in baked goods, is also Non-GMO Project Verified, gluten-free, Kosher and Halal certified. Its light-coloured soft powder form enables Profi Bake to act like gluten-free flour but with the added nutritional benefits of dietary fiber and protein. Profi Bake with PDCAAS level of 0.97 +/-0.08, PER score 2.4 +/-0.2 provides the quality assurance today’s health-conscious consumers are looking for. Butter Buds, non-dairy specialty flavour ingredients, exclusively distributed in Canada by Dealers Ingredients for over 23 years, can provide the rich full flavour enhancement for improving the taste and mouthfeel without the added calories of fat. Non-dairy butter and cream flavours are available in a wide variety of options including sour cream, condensed milk, buttermilk and cheddar profiles without the risk of exposure to dairy allergens. Another popular non-dairy Butter Buds flavour is Cocoa Butter Buds. Cocoa Butter Buds can best be described as an intense, concentrated cocoa butter powder made with real cocoa fat while providing a variety of functional flavour benefits.